I love the idea of Throwback Thursdays . . .
as it gives me the perfect reason to look back through old photographs!! 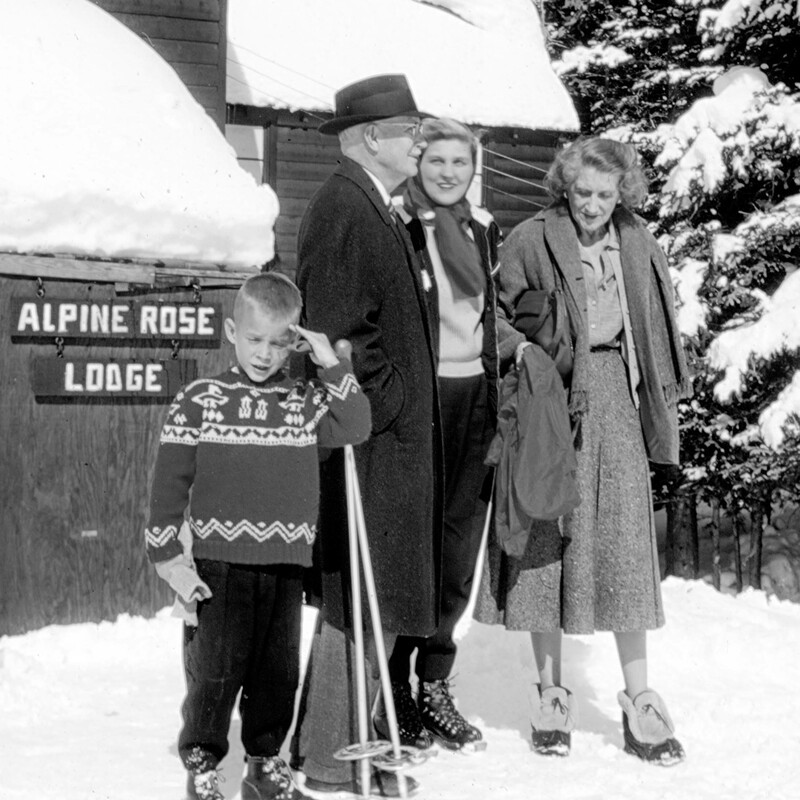 Here is a look at some white winter memories . 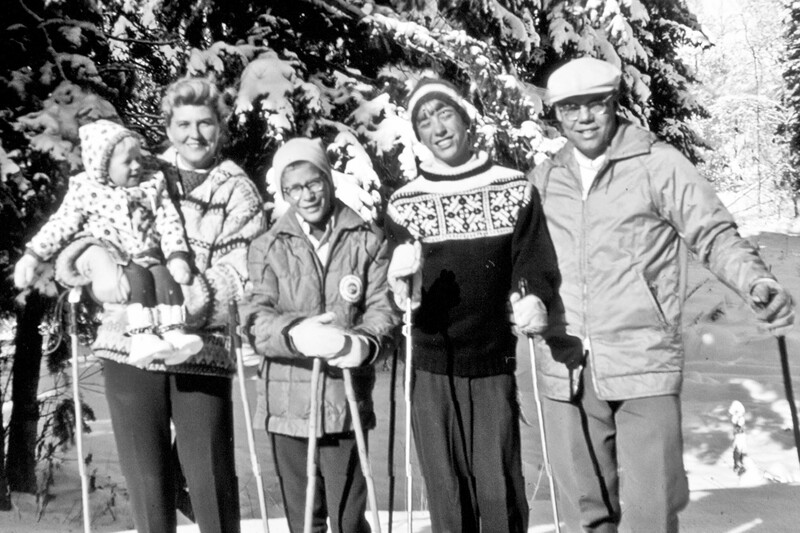 . .
Our family was always out in the snow in winter . . .
because … well … that is just what we did in winter . . .
We. Played. In. The. Snow. Mom started me out at a very early age . . .
just the same way my parents did with my two older brothers . . .
they even brought my grandparents out to join in the fun from time to time! 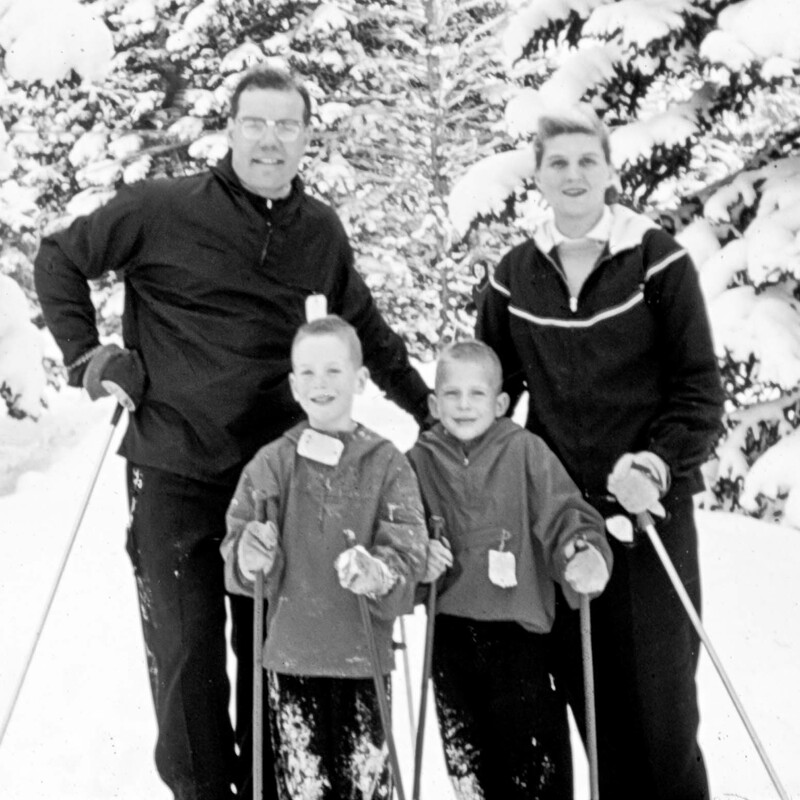 In those days – the neighborhood boys would hang with the dads . . .
because that was a cool thing to do back then! 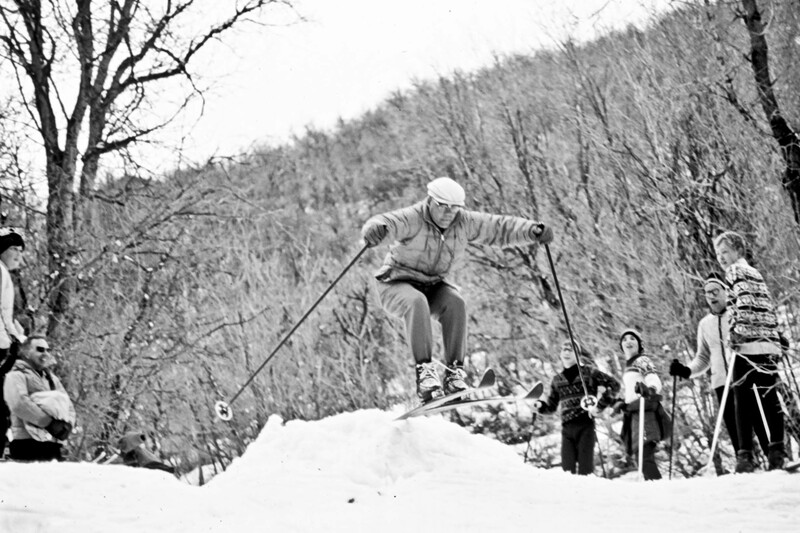 Here is my dad going over a ski jump!! I have always loved the fact that he was young at heart . . .
and has continued to be so throughout the years! Here is a photo of my dad with my two brothers years later! These types of family photos would continue to be taken year . . . after year . . .
With the beautiful mountains in the background . . . and the blue sky above . . .
my parents looked as cool as can be . 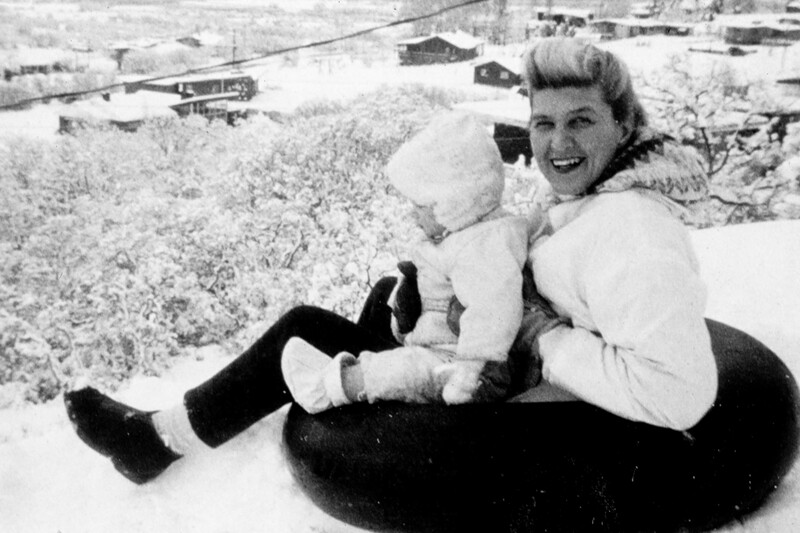 . .
this photo is one of my favorites of my mother!! 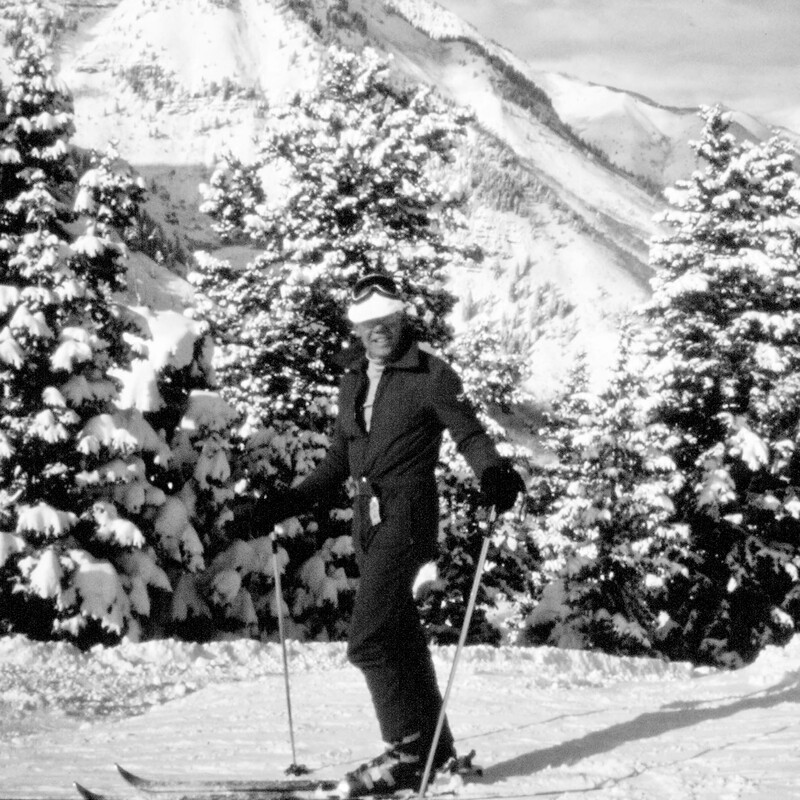 Yes – I do remember these mountains well . . .
the views from the tops of the lifts . . .
the smell of the snow . . . the hot chocolate breaks . . . But most of all . . . I remember spending time with my family . . .
and the memories that we shared together! I also remember . . . when my mom decided to quit going to the hill . . .
she leaned over to me and quietly told me that she never really liked being cold . . .
which as I am getting older I understand more and more . . . 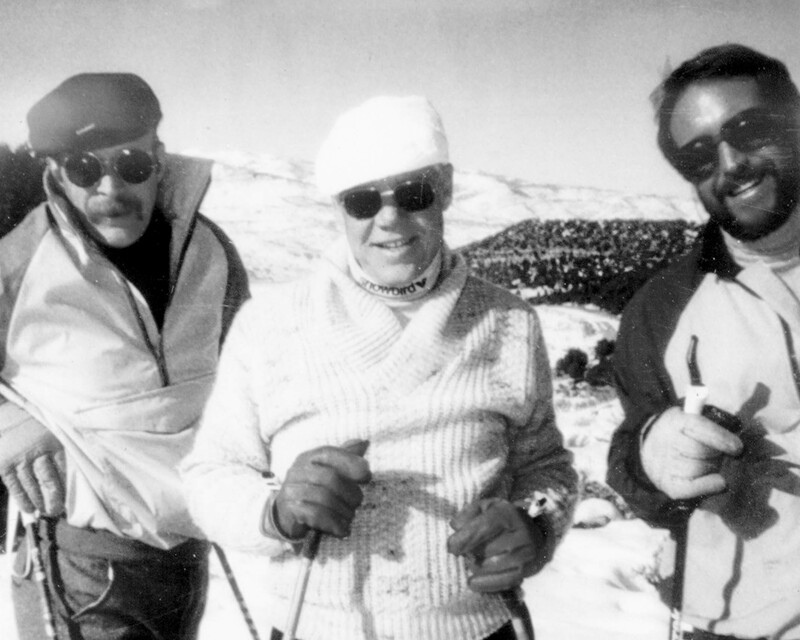 I also remember skiing with my father last February – he was 91 years old . . . I have to say – I was more than a bit worried!! But – he made it through the weekend safe . . .
and once again – we have memories that will last a life time!! And if we were not up in the mountains . . .
well – we were on the lake . 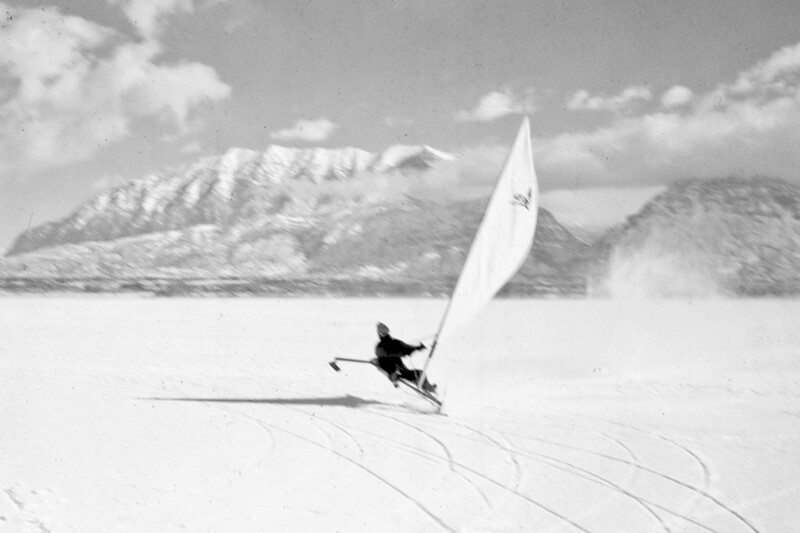 . . Ice Boating!! 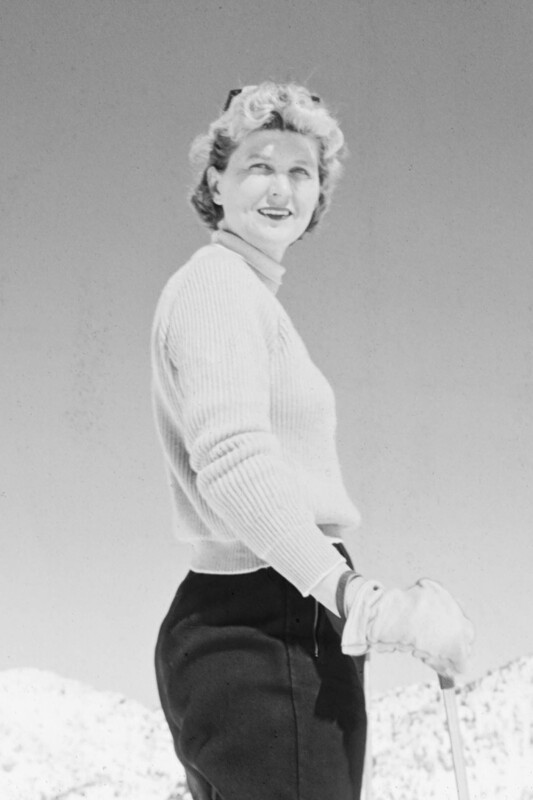 Or – some of us were perhaps Ice Skating!! I am so grateful for all this time we were able to spend together!! How lucky my brothers and I were to have such fun . . .
loving . . . and active parents . . .
who went out of their way to create such memories for all of us!! I will be forever thankful!! Wishing you a wonderful Holiday Season . . .
Peace, Love, and Joy – to each and every one of you!!! December 18, 2013 ironstone kitchen . . ., komedal road . . . The other night . . .
from an old Martha Stewart Holiday issue I had sitting on the counter . . . I thought it would be fun to make some holiday goodies together! Hattie sat at the table a long time!! She then came back with this huge list – and I mean HUGE . 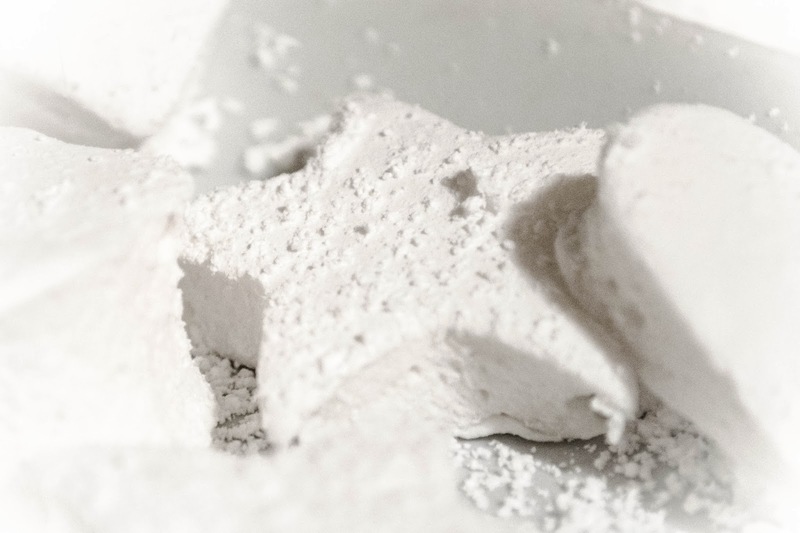 . .
starting with these very cool marshmallow snowflakes! Hmmm – I thought . . . I have never made marshmallows before . . .
Let’s just say it was an absolute BLAST . . .
from watching the mixture become this white . . . thick . . . sticky foam-like substance . 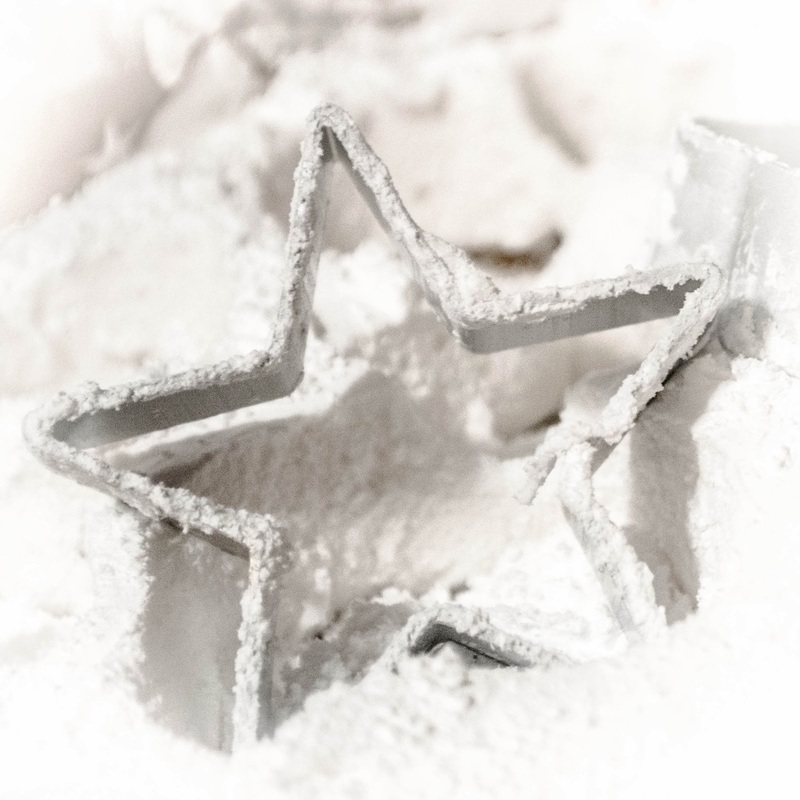 . .
to spreading it in a pan and sprinkling them with powdered sugar . . . just like snow . . .
and then cutting them up into fun holiday shapes . . . The stars were our favorite!! Yes – I truly felt like a kid again . . . laughing and smiling the whole time . . .
playing – like a child!! I am not really sure who had more fun – Hattie or myself! I just know that I can’t wait to try them in some hot cocoa!! Are you dreaming of a White Christmas? I know I am!! And – if the snow doesn’t come . . . Happy Holidays everyone! Peace and Blessings to all of you!! can be found here on the Martha Stewart website!! 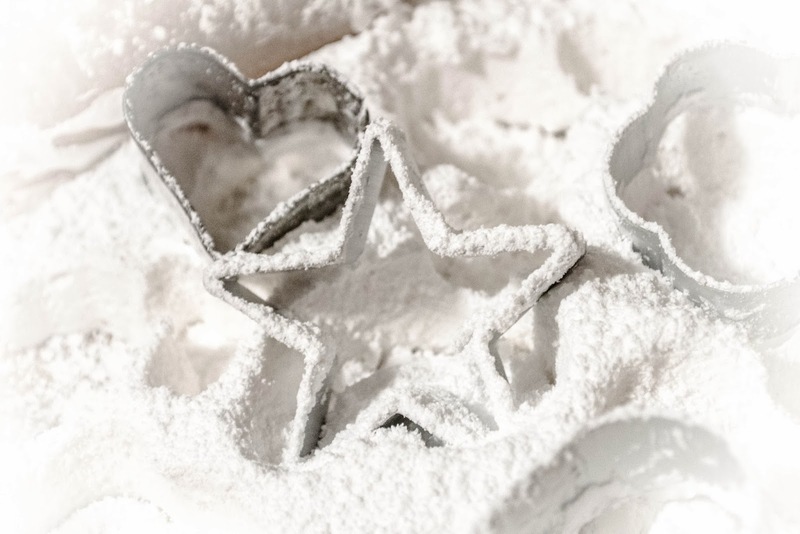 Just add the confectioner’s sugar for dusting . . .
and pretend it is snowing!! December 15, 2013 ironstone kitchen . . ., komedal road . . ., online shop . . . Introducing our very own . 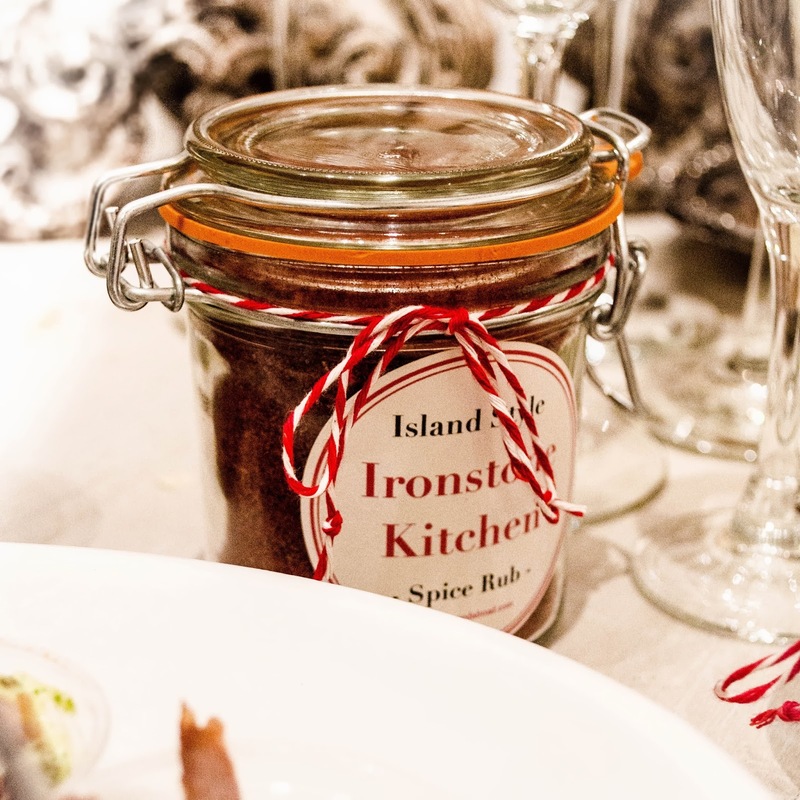 . .
IRONSTONE KITCHEN – Island Style Spice Rub!!! 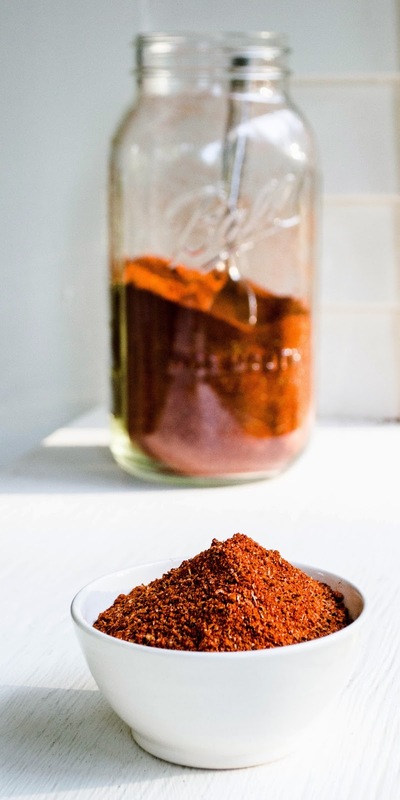 A perfect Spice Rub for Pulled Pork, Chicken, Brisket, etc…!! Just rub it on the meat . . . wrap it up in plastic-wrap . . . marinate it overnight . . .
then roast it . . . bbq it . . . When my son was young . . .
in our Bainbridge Island Junior Football Snack Shack . . . It ended up being a hit that I did not expect. Since then – people have asked me to make it for them . . .
so here it is . . . finally!! 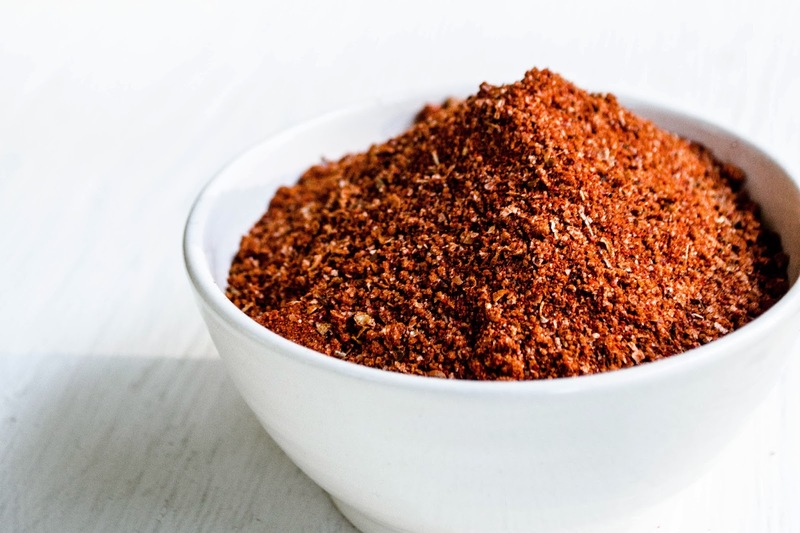 A 6oz container of Spice Rub goodness . . .
in a wonderful reusable glass container! Available here in our Online Shop!! 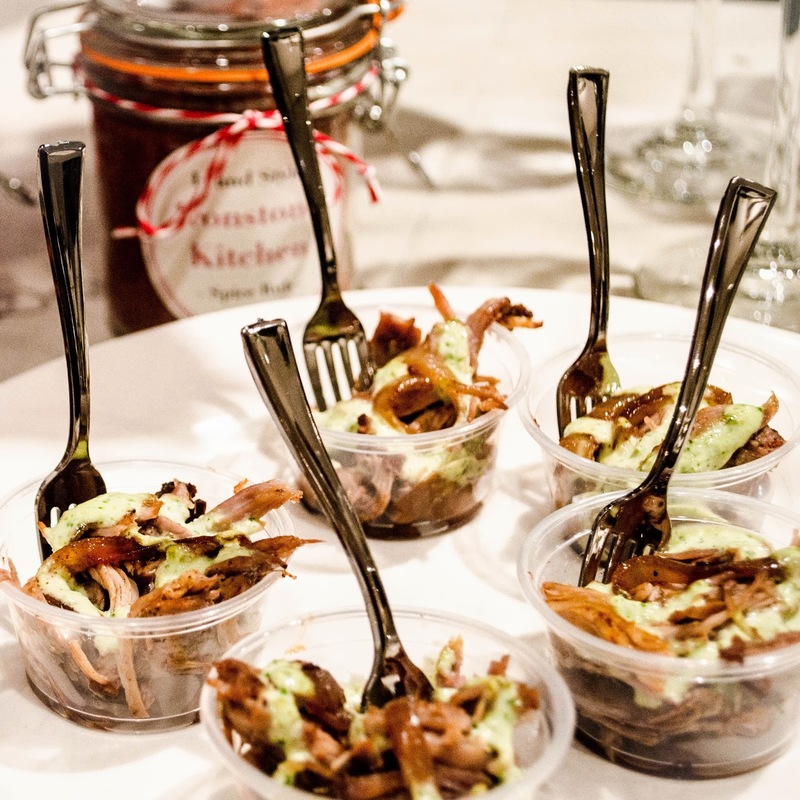 on the Ironstone Kitchen blog as well! And – if you are wondering about whats up with that green sauce above?? along with grilled onions . . . jalapeno peppers . . .
cilantro . . . and more . . .
More on all of this to come . . . along with some great recipes . 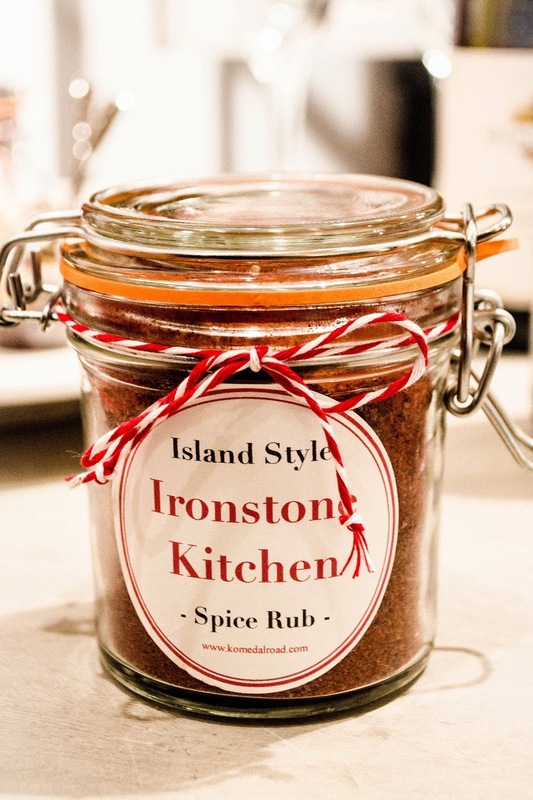 . .
Island Style Spice Rub – available here! !